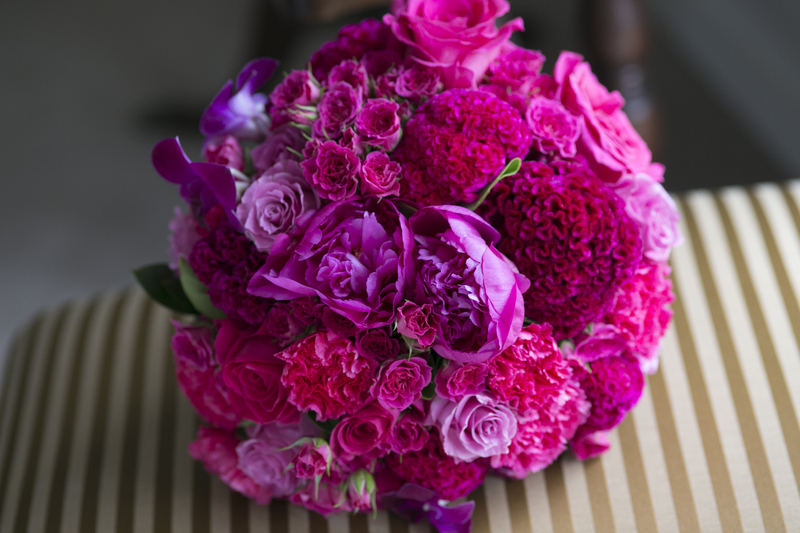 Crisp winter flower arrangements bursting with colour and interest. Mistakenly many people think that winter is the wrong time to go about creating flower arrangements bursting with colour and interest. However, it absolutely can be if you know which flowers are blooming in the cooler, crisp winter months and what other types of natural materials to look for. Here are our best ideas for exciting, gorgeous winter flower arrangements that we, at Best Buds Floral Design, have created to give you some wintery inspiration for the coming colder months. Playing on the idea that winter means white, is a fantastic way to bring beauty and simplicity into your home’s floral design. Try an arrangement using the perfect white winter rose, surrounded by frosted succulents and fragrant eucalyptus leaves for a dash of colour. In Australia, white flowers such as Polyanthus and the Fairy Primrose flower in winter and thanks to their white petals and bright yellow centres, they can bring a friendly and crisp look to any arrangement. Heighten their beauty by adding yellow lemons or orange kumquats to the arrangement too. Traditionally shades of red and pink are used to bring warmth and richness into the home or office. These colours, when used in flower arrangements, bring a feeling of heat and depth into a space. Consider winter flowering plants like Daphne or Cyclamen (which begins to come alive in the autumn months) as complimentary flowers to the traditional red rose, or red tulip. Tones of purple within an arrangement can create an air of mystery and intrigue. The Iris, is prominent in the winter and offers a beautiful shade of purple. A perfect fail-safe option is to use is the ever-resourceful Lavender for a fragrant, herbal twist to any arrangement. Often times, the idea of using bark or leaves as the focal point of an arrangement seems unheard of. But thanks to the variety and intricacies of stalks and branches, a lot of interest and beauty can be created by using them in arrangements when flowers are not readily available. Fur tree stalks with their gnarly stems and beautiful green furry leaves are perfect for an arrangement. Pine cones also make for exciting interest pieces within an arrangement. Dried eucalyptus branches, or any other interesting stalks and slim branches, can make for brilliant arrangement accompaniments. Just because it’s winter, doesn’t have to mean that your choice of floral arrangements has to get any less interesting. Mother Nature provides us with beauty all year round, you just have to know how to find it. For more ideas and advice on winter flower arranging or to organise your own winter bouquet, contact Best Buds Floral Design today. Keep your eyes peeled on our Facebook and Instagram accounts for more. Contemporary flower arrangement – how to?